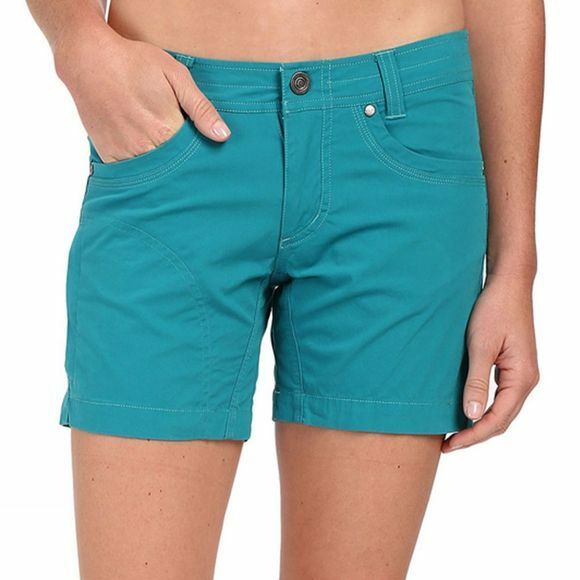 The Kühl Splash 5.5" Shorts for Women feature ÜBERKÜHL STRETCH™ fabric, which dries faster than cotton and offers great stretch for your comfort and easy movement. The KühlKURVE™ fit provides enhanced comfort whilst Kühl's Free Ryde™ waist contours to the shape of your body. Five pockets offer excellent storage, including two hidden security pockets.